Rahman and Shruti to team up ? 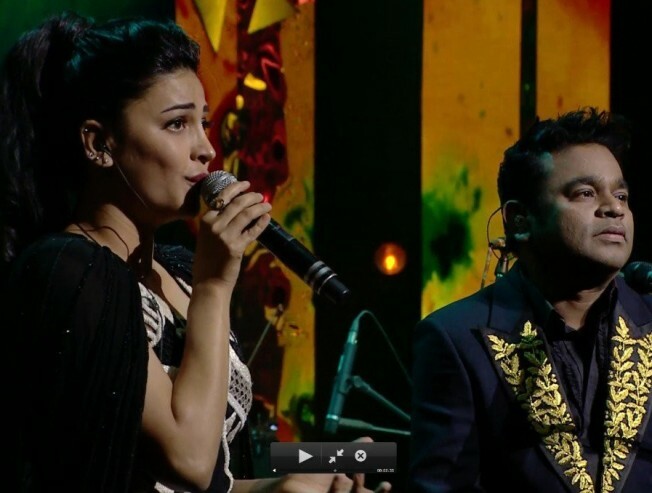 There is a lot of Buzz around the industry that Oscar award winning singer AR Rahman might be teaming up with Shruthi Haasan for a new song. The news created a buzz after the singer posted a tweet where she has thanked Rahman and had stated that music completes her life. The picture was taken in AR Rahman's Los Angeles music studio.